Join Donna and Kevann, her daughter, every Tuesday as they talk about faith and everyday life. Understanding the busy lives of women, Donna believes in highlighting the importance of growing in relationship with God. Find some time to listen to this encouraging and challenge women’s podcast. Grab a coffee, find a comfortable spot and start listening! Season 3 Episode 28 – Do We Get to Heaven by Faith in Jesus Alone? – This week, Donna and Kevann explore what we need to do to get into heaven. That question has been debated throughout the years, particularly within the Christian community. Protestants generally quote the Apostle Paul for their answer while Catholics and other mainline denominations often quote James with another. Did Paul and James actually disagree on this issue or is there another explanation? Find out in this Grow on the Go podcast. 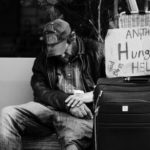 Season 3 Episode 27 – Understanding Poverty and the Christian Response. – Donna and Kevann follow the thread of James’ teaching on how we treat the poor. It isn’t just about sharing and caring, it’s also about judgement and prejudice. But sometimes elevating someone else means to descend ourselves. 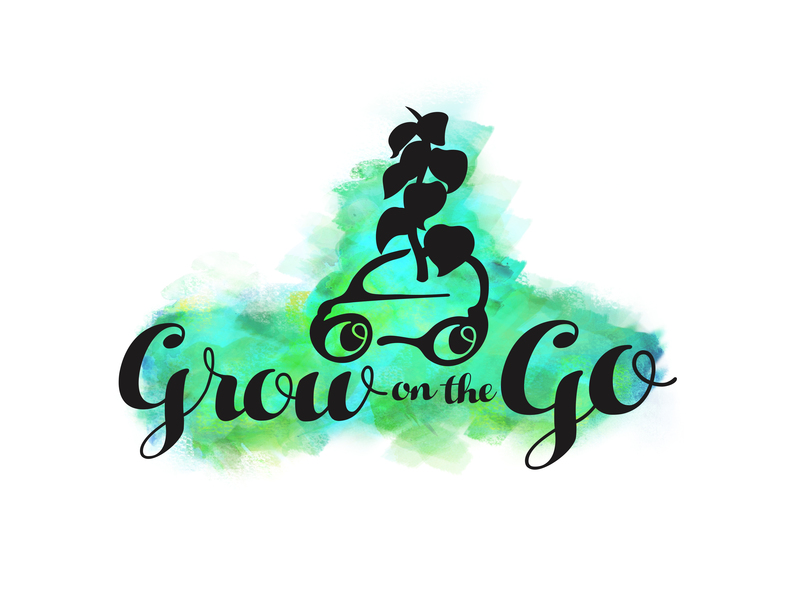 Learn how to address those moments when we are confronted with an opportunity to re-humanize someone but have no idea what to do in this episode of Grow on the Go. 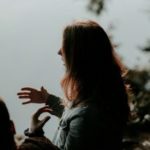 Season 3 Episode 26 – What Your Words Say About You – In this podcast, Donna and Kevann unpack some of the major themes of James. They look at James’ teaching on how we use our words and why it was so relevant then and today. You’ll also learn how brain science affirms the truth of James’ teaching. Season 3 Episode 25 – The Biblical Feminist: A Woman’s Place – Donna and Kevann continue “The Biblical Feminist” series by comparing the feminist view of women’s’ roles with women’s roles in the Bible. They discuss how women’s roles have changed with culture and how Jesus ignited powerful change when he invited women into his ministry. Unfortunately, some of that freedom has not been recognized by the modern church and this brief look at the principles of scripture interpretation help us understand why. Season 3 Episode 24- The Biblical Feminist: Ableism -In this episode, Donna and Kevann discuss a tricky issue within feminist circles and churches alike: ableism. They talk about what it means, what the bible says about disabilities, and some of the ways our churches might be missing the mark when it comes to our treatment of differently-abled people. Season 3 Episode 22- The Biblical Feminist: Leadership and Submission -Donna and Kevann tackle one of the church’s most divisive issues: were women made to submit? They unpack what scripture says about it, including some interpretations you may never have heard before. Plus, some details that completely change the apparent meaning of a few well-known Bible stories. Season 3 Episode 21 – The Biblical Feminist – A Brief History In Feminism – Donna and Kevann begin a new series in this podcast with a crash course on feminist history. 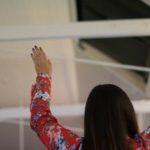 “The Biblical Feminist” discusses some of the common misconceptions are around feminism, what it means, and why it has a place in Christianity. This isn’t your Grandma’s feminism. Season 3 Episode 20 – An Intentional Encounter with an Unlikely Witness – In the last podcast of the “Intentional Encounters” series, Kevann and Donna talk about the moments after Jesus’ resurrection. What does it mean that Jesus chose a woman to encounter him first, freshly out of the tomb? Why are we told about the folded cloth left behind in the tomb and what’s important about the pair of angels who spoke to Mary? Digging into these seemingly random details reveal some profound insights and we ponder what they mean for us today. Season 3 Episode 19 – An Intentional Encounter on a Lake -What does it mean to follow Jesus? When Peter encounters Jesus on the Lake of Galilee, he learns what grace means, both spiritually and materially. It’s one thing when you see a miracle in someone else’ life and quite another when you experience one personally. Kevann and I talk about grace moments in our own lives and how it’s helped us learn to follow him. Season 3 Episode 18 – An Intentional Encounter in a Crowd-We continue the intentional encounters series this week with Jesus healing the bleeding woman. Of course, we can have as much of Jesus as we want but, like there was for this woman, there is a cost. In this podcast, we discuss how being intentional in our relationship with God looks for different people. Season 3 Episode 17 – An Intentional Encounter with Death -The intentional encounters we have been talking about usually have to do with who Jesus encountered. This encounter is more about the when. Jesus waits until it is too late to answer the prayers of some of his best friends. In this podcast, we explore how Jesus’ humanity and divinity are both powerfully displayed in this moving story of a knock out round of life with death. We also share several ways this encounter offers hope for the places in our own lives that are dead or dying. Season 3 Episode 16 – An Intentional Encounter with One Very Thirsty Lady -We thirst for all kinds of things in our lives. Acceptance, security, love, purpose, comfort, sleep, and, of course, water. In this episode of Grow on the Go, Kevann and I reflect on the dialogue between Jesus and someone we know only as the woman at the well. We look at what Jesus said to her and try to discern what he wants us to learn from this intentional encounter. Season 3 Episode 15 – Intentional Encounters – A New Start for An Old Man -Sometimes our questions are about seeking and sometimes they’re about stonewalling. Jesus always knew the difference even when the asker seemed insincere. In this episode of Grow on the Go, we talk about a secretive intentional encounter Jesus had with an ultra-religious politician with a reputation to protect. In unpacking his story, we see how a spiritual relationship with Jesus has a lot in common with creation. Jesus breathes new life into our spirit and loves our chaos into compliance. Season 3 Episode 14 – Jesus: An Intentional Encounter with Humanity – What was Jesus’ intentional encounter with Mary communicating to us? How is divinity born to humanity important? In this Grow on the Go podcast, we talk about the difference that the humanity and humility of Jesus can make to us on our best and worst days. But most importantly, through true stories, why Jesus’ other name, Immanuel, is the beginning of all hope. Season 3 Episode 13 – Glamping and an Intentional Encounter with Satan – Why did Jesus head into the wilderness and purposely subject himself to deprivation and temptation? In this Grow on the Go podcast, we look at Jesus’ extreme camping trip and why it remains such an important lesson. We also talk about glamping (glamorous camping), which, admittedly, is a bit more appealing. Season 3 Episode 12 – An Intentional Encounter at the Jordan – Jesus had all kinds of spontaneous interactions with people. But there were certain people that Jesus met up with in a very deliberate way. In this episode of Grow on the Go, we’ll look at is His encounter with His cousin John the Baptist. John’s baptism was all about repentance. Since Jesus never sinned, why was he so determined to be baptized? Kevann and I discuss four reasons that you might consider too. Season 3 Episode 10 – Rags, Riches and Romance with God – The 10 Commandments weren’t designed to help us be good. They were designed to show us there’s no way we can be. We don’t need to just clean up our act to please God. We need a whole new act. In this week’s Grow on the Go podcast, we talk about the connection between human romance, our relationship with God, and how loving Jesus, not merely obeying Him, helps us grasp grace. Season 3 Episode 9 – Perfectionism, Approval Addiction and Grasping Grace – What does trying to be a good person get you? Besides a nervous condition…not much. Kevann and I share about our own fear of failure and rejection, and the way grasping grace gives us freedom to fail, grow and experience peace. Season 3 Episode 8 – What’s with the Cross? – Imagine hanging a little silver guillotine around your neck. What a weird thing it is that Christians place such importance on a symbol of torture. But there is something mysterious and wonderful about the way the intersection of two beams can teach us the nature of God and His unrelenting love for us. In this podcast, Kev and Donna discuss how embracing the truth of the cross can bring incredible healing of even our deepest wounds. Season 3 Episode 7 – Redemptive Relationships – Everyone Needs Someone – It wasn’t just our relationship with God that went south in the Garden of Eden. Our relationships with other humans became tainted as well. Even though relationships are often the source of our deepest wounds, we still need them. In today’s podcast, Kevann and Donna talk about how the Bible teaches us the way to plug in toredemptive relationships in a healing way. Season 3 Episode 6- The Peace of God and Peace With God:What’s the Difference? In this podcast, Donna and Kevann discuss what the Bible teaches about peace and how we can actually live calmly in the eye of the storm. Donna talks through how to pray Philippians 3:6-7 to practically claim the “big peace” God promises to those who know Him. Women are told we can have it all, but is that really what we want? Everybody has stress. Everybody has limits. Donna and Kevann talk about our own stress, how they each cope with it, and what Jesus said that can make all the difference. Season 3 Episode 4- It’s Not About the Dot: Conquer Discontentment. There is a sense in which God has deliberately made us discontent. Medicating that sense of longing gets us into all kinds of misery. Donna and Kevann chat today about what it really means that eternity is planted in our hearts. Our longing for what life was meant to be is what reminds us this is not it! Grasping that can help us conquer discontentment. Season 3 Episode 3- Comparison Kills: The Secret to Being Content. Selective comparison is the enemy of contentment. In this podcast, Donna and Kevann talk about our own struggles with body image, life phase, and other playgrounds of discontentment. The media and actually our entire culture invites us to long for what we don’t have and by default, fail to appreciate what we do. But sometimes, the very thing we complain about is a by-product of having so much. Perfection isn’t real. What is real is that we can conquer discontentment by locking onto what the Apostle Paul called “The Secret of being content”. Season 3 Episode 2- Accept Yourself: Cowards, Criminal and Other Failures. Donna and Kevann continue our personal reflections on self-acceptance and look at two more cornerstones of Biblical self-esteem. What does our autonomy and Jesus’ obedience say about our real value? Listen and learn how Jesus’ words and actions reveal the amazing truth about who you are. You’ll also gain a rare glimpse into Kevann’s journey in this very vulnerable exchange. Season 3 Episode 1- Accept Yourself: Splotches and Blotches are Intentional . Donna and Kevann resume our discussion of my book 10 Smart Things Women Can Do to Build a Better Life. After a chat about other season finale cliff-hangers, we tackle the first of three cornerstones we can build our self-esteem on. We share pretty honestly about the messages that have messed us up and how a new definition of DNA can change the way we engage the world.